DOVER – To achieve public compliance with laws and regulations through education and enforcement actions that help conserve Delaware’s fish and wildlife resources and ensure safe boating and public safety, Fish & Wildlife Natural Resources Police officers between Jan. 15-21 made 1,308 contacts with hunters, anglers, boaters and the general public, issuing 39 citations. Officers responded to 45 complaints regarding possible violations of laws and regulations or requests to assist the public. An increased Fish & Wildlife Natural Resources Police presence continued at the C&D Canal Conservation Area and Michael N. Castle Trail. 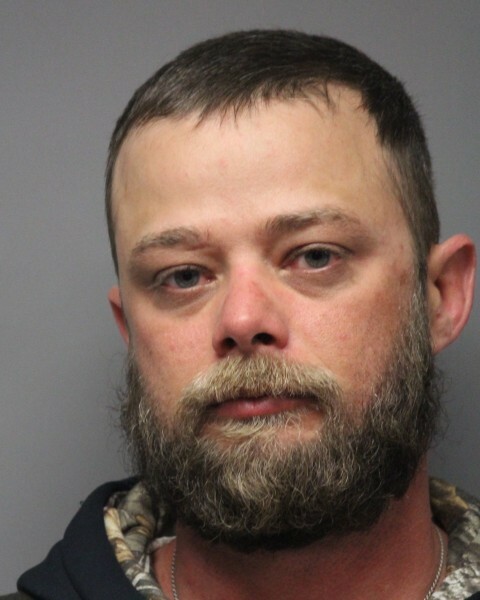 On Jan. 15, Fish & Wildlife Natural Resources Police officers arrested Sean K. Moore, 37, of Millsboro, for 14 counts of possession of a firearm or ammunition by a person prohibited and four counts of possess or transport antlerless deer that was unlawfully killed, after contacting him while hunting near Dagsboro. Moore was arraigned at Sussex County Justice of the Peace Court 3 and released on a $28,800 unsecured bond pending a future court appearance in Sussex County Superior Court. As part of the case, 13 firearms and ammunition were seized. Wildlife Conservation: Possess or transport antlerless deer that was unlawfully killed (4), hunting with an unplugged shotgun capable of holding more than three shells (1), hunting on a refuge (1), spotlighting (2), hunting migratory waterfowl with illegal toxic lead shot (1), and must wear hunter orange (1). Public Safety: Possession of a firearm or ammunition by a person prohibited (14), possession of a loaded firearm in a motor vehicle (2), possession of a loaded firearm in a motor vessel (1), Possession of drug paraphernalia (1), and failure to yield right of way (1). Other: Littering on a public highway (1), operating a motor vehicle off an established roadway on a state wildlife area (3)*, damaging state property (1)*, and trespassing after hours on a state wildlife area (5). Fish & Wildlife Natural Resources Police want to remind hunters that the deer seasons are coming to an end. The use of an artificial light to illuminate wildlife, also known as spotlighting, from a motor vehicle for the purpose of hunting or observing, which is illegal. Target shooting on state wildlife areas is illegal at all times; target shooting on private property is allowed seven days a week, within the parameters of local, county and state ordinances. For more information on the 2017/2018 hunting seasons – including hunter education, licensing, hunting and trapping seasons, limits, regulations, wildlife area information and more, with sections devoted to deer, small game, turkey and migratory birds – click on 2017-2018 Delaware Hunting & Trapping Guide. Newly updated wildlife area maps with area-specific regulations are available online at Wildlife Area Maps.